This May is Melanoma or Skin Cancer Detection and Prevention month. Health professionals and agencies use this month to raise awareness about the growing skin cancer rates, and to stress the importance of protecting your skin from the harmful ultraviolet (UV) rays. Since the weather is starting to get warmer and the sun will be out more, knowledge about this disease is especially critical. Melanoma is the most common skin cancer in the United States, and it’s also the deadliest form of cancerous skin conditions. With summer just six weeks away, it’s vital for everyone, particularly young adults of this generation to understand what Melanoma is, and how to be prepared and take preventative measures to avoid falling victim to this growing cancer. Diagnoses have steadily grown in Americans under 40 years old in the last decade. It’s a skin cancer that starts in the cells (melanocyte) that produce melanin. While there is no certain fact on what actually causes it, the risk for the disease is amplified by excessive and unprotected exposure to the sun and/or tanning beds. The deadly skin condition is rapidly growing in young adults. This year it’s estimated that there will be over 70,000 new cases and an even higher mortality rate than previous years. Anyone can be affected by this disease no matter your skin complexion or age, but genetics and geography may play a significant part. Many statistics show that Caucasians are more likely to be diagnosed with Melanoma than people of other races, but this does not mean that non-Caucasians are not vulnerable to contracting it. People of color make some of the fastest growing victims and skin cancer tends to go by undetected in minority groups because of delayed diagnoses. Women are also more likely to contract melanoma, as well as men under 65. The most common symptoms of Melanoma are moles. These moles are usually darker than your complexion and can change in color, shape and size overtime. They may also come in the form of lesions. There’s a system called the ABCDE system to help you detect them. If you spot a mole on your skin and it hurts or itches, go see a dermatologist immediately. Quickly bringing this to a dermatologist’s attention can cure it right away via surgical removal in the beginning stages. On sunny days avoid long hours in the sun. Health experts and agencies recommend wearing clothing that covers your skin and avoiding sunlight during the hours of 10am to 2pm. The UV rays during these times are the strongest and harshest. Also look for shady areas (trees, buildings, and awnings) or be prepared with your own shade (umbrellas and hats). If you love tanning beds, avoid tanning in them. Use self-tanners, tanning lotions, and bronzers instead. If you are going to be outdoors for a period of time in the sun, like at the beach or playing sports for example, use sunscreen with a sun protection factor (SPF) of 30 or higher. For normal everyday use, you can use SPF 15 or up. The lighter your complexion, the higher SPF you should choose. Make sure you properly read the directions of whichever sunscreen brand you choose to buy, and remember to reapply it at the correct designated time (usually every two hours). Also take note of whether they protect against UVA and UVB rays. Brands that protect against both are labeled broad spectrum. Also understand that the sun is not your enemy. While medical professionals encourage the public to understand the risks and symptoms of harmful UV rays, the sun does have one positive benefit: the sun provides us with vitamin D. But it’s not recommended to receive vitamin D from the sun. What’s really important is how long you spend in the sunlight or tanning booth. Have a great summer and protect your skin. 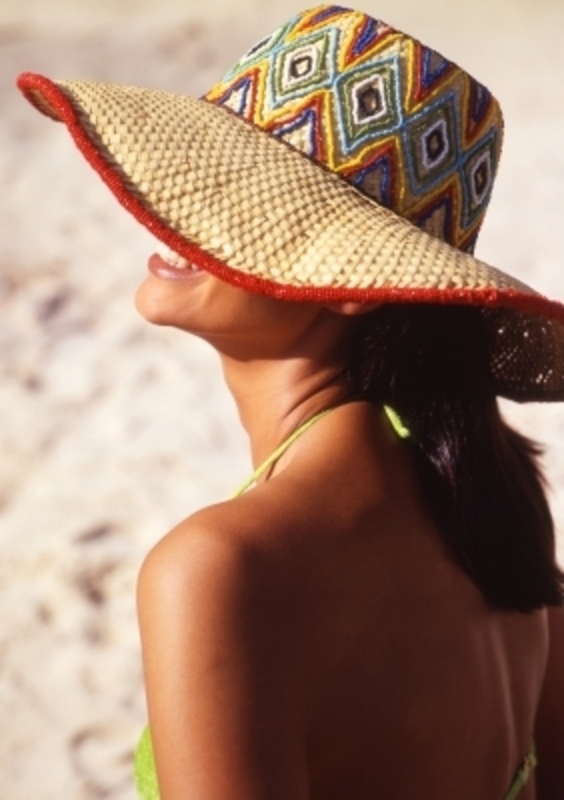 Will you be wearing sunscreen this summer?